I thought this costume was really cute for my son Joseph he is 5 years old. 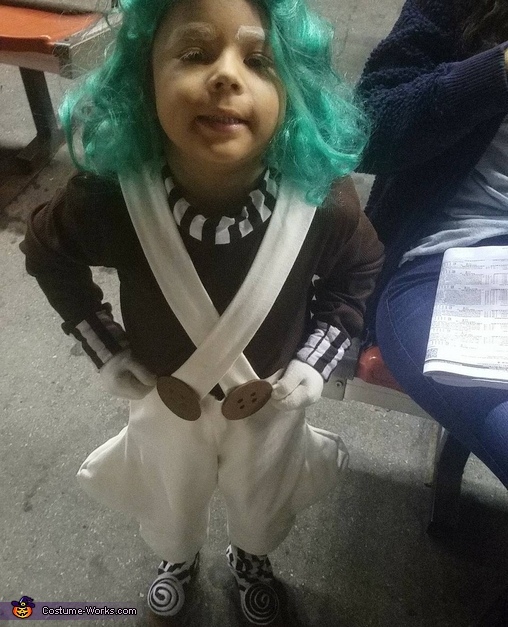 He was excited to dress up and make the character come to live. I had his costume made by my Ant. I bought the wig seperate. I used white valet shoes and painted them brown and glued the striped balls on them. With a help of a little bronzer and white eyebrows he was looking like an umpa lumpa.